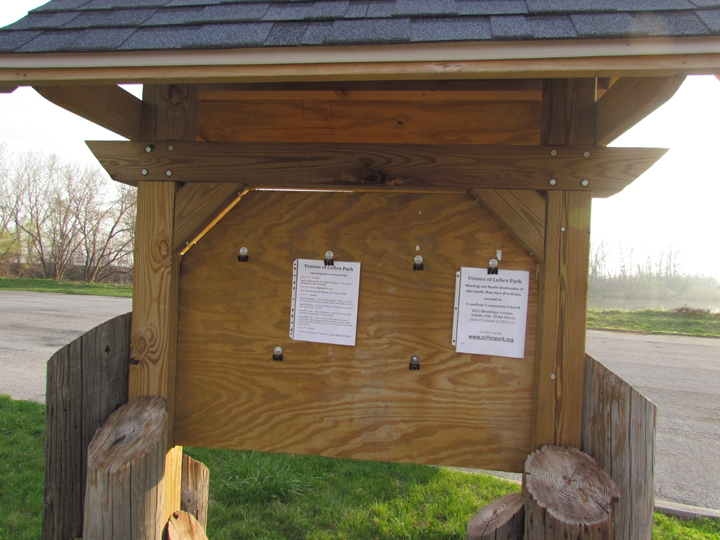 We have “clipped” the Kiosk ! | Cullen Park & "Visions of Cullen Park"
We have “clipped” the Kiosk ! Six paper clips are now permanently mounted to each side of the Kiosk. With these paper clips, it will be easier to post your information on the Kiosk, prior to this, people were using staple guns and nails, which is not the easiest way! 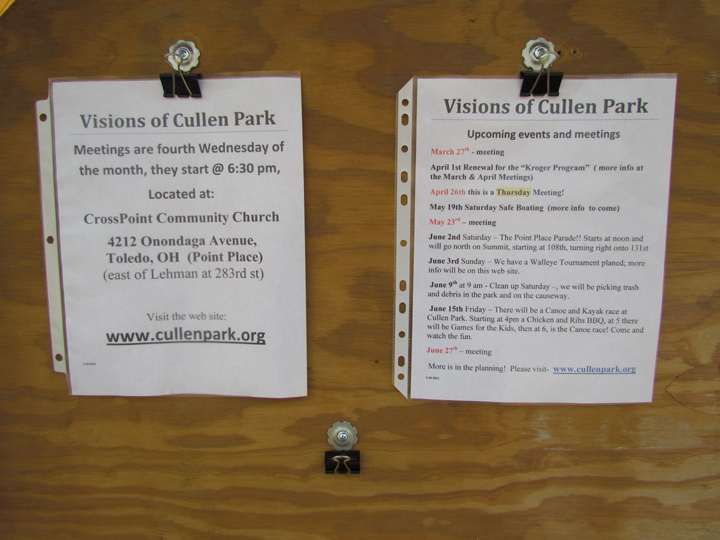 There are currently two items on the Kiosk, first is basic information about Visions of Cullen Park- meeting time and dates, with web site. The second item is a list of dates of upcoming events at the Cullen Park and meetings through June.